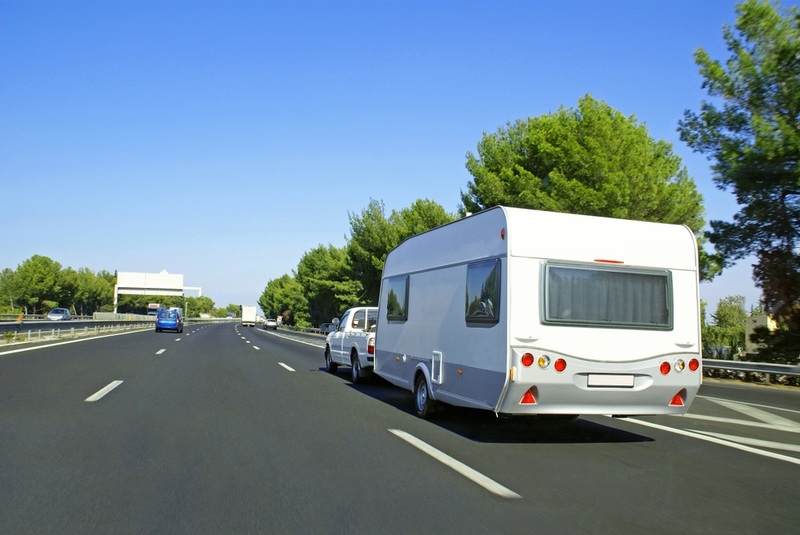 When you first start caravanning it can be very tempting to run out and buy lots of gadgets and gear. But how much of it do you really need? What will be really useful and what might just come in handy one day? 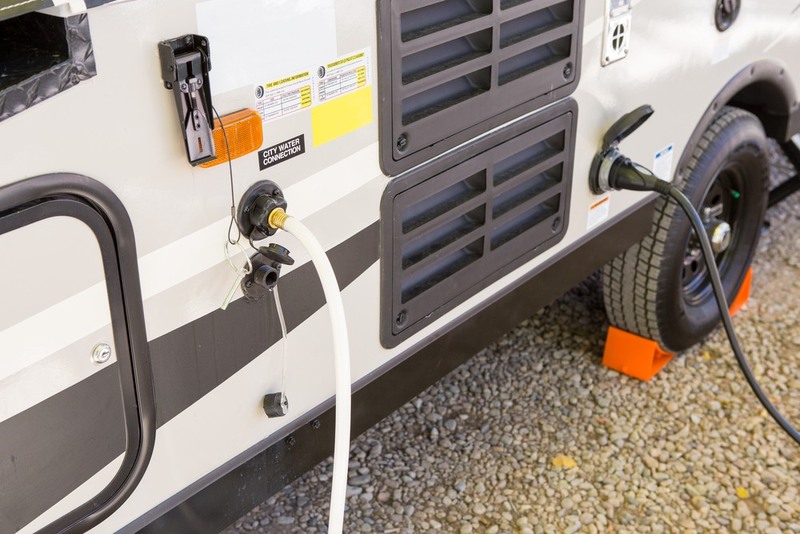 To celebrate the opening of Green RV’s new online shop, take a look at what we think are some must-have items to have in your kit. We have had plenty of experience with fridges that struggle to keep up in extreme heat. So anything you can do that might help keep the side of your van where the fridge is a little cooler is a bonus. 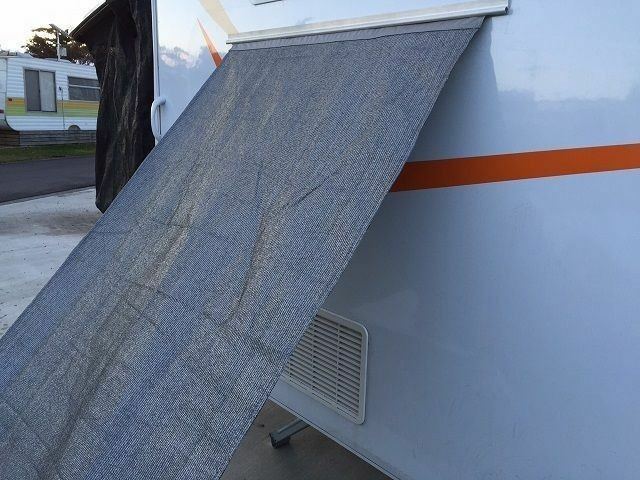 All you need to do is get a piece of sail track fitted to the side of your van and then attach the shade screen into that and your fridge should be cooling your beer down in no time! 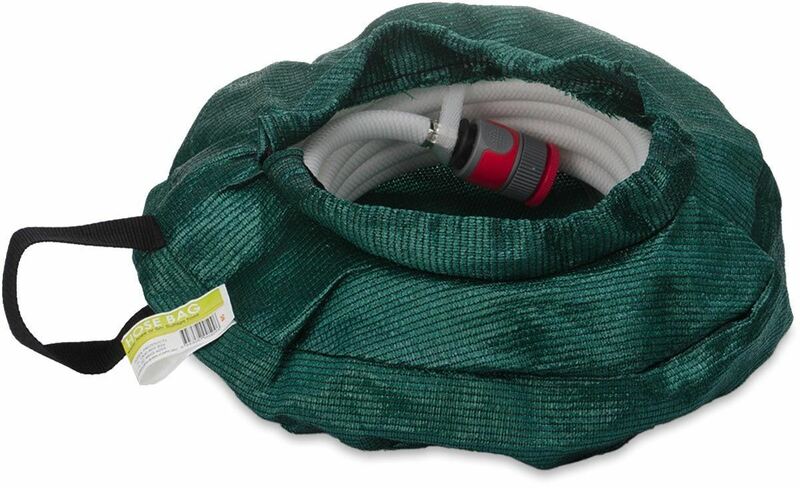 A couple of these Camec hose bags will save your sanity when it comes time to roll your hoses up. It’s so easy to coil them back into these little bags and then they sit neatly in whatever space you store them in. If they are a little dusty or even muddy, then the dirt is confined to the inside of the bag, but they are easy to rinse out next time you stop. Also if you don’t need the whole of your hose length you can leave the excess coiled up neatly in the bag. You will definitely need a set of levels and chocks to make sure that when you are parked on sites that aren’t quite flat, you can get your van level. There is nothing worse than trying to sleep with your head pointing down hill. These come in very handy when you are free camping as the best spots are never level. 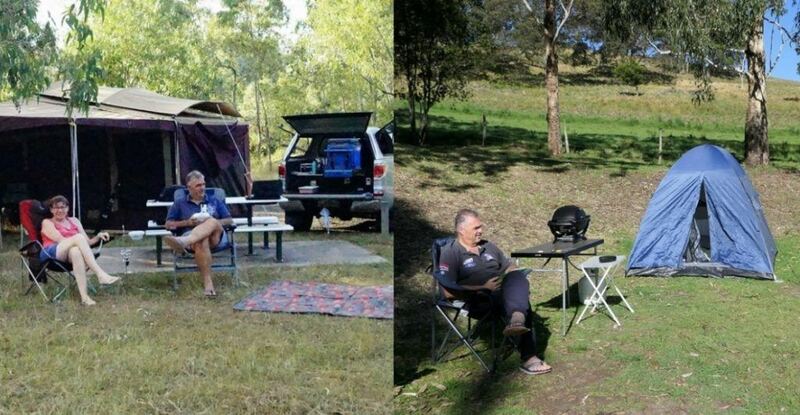 Also increasingly, some caravan parks are asking that wheels are chocked as a safety precaution. Levels and chocks are made of solid plastic so they are sturdy, but still lightweight and easy to store. 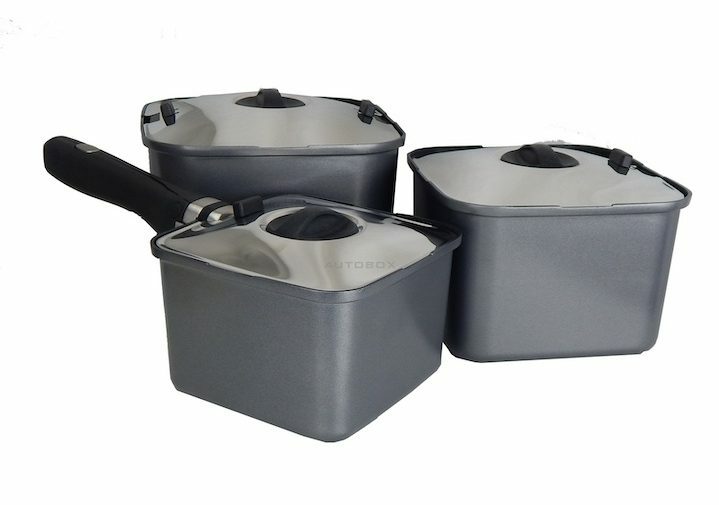 Cooking on the road just got a whole lot easier with these square saucepans. Not only are they very high quality, but they also stack one inside the other for easy storage. 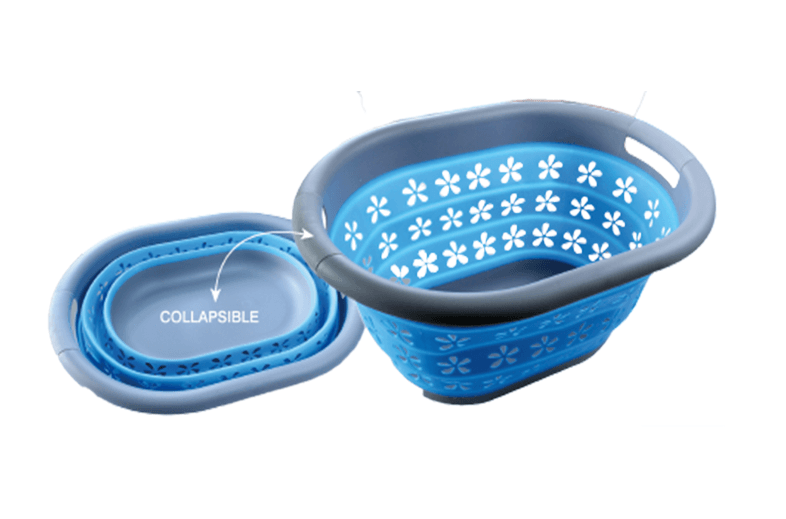 They have a removable handle and come with silicone mats, that can be placed in the bottom to stop them from rubbing. They come in a set of three so you’ll be able to cook up dinner for the whole family. A square frypan in the same range is also available. These baskets are the handiest things. They are so lightweight and fold up to nothing so you can store them away anywhere. But they can be used for so many other things. Traveling with a baby? Use it as a bath-tub. Traveling with kids? Pile some toys in it to take to the beach. Going to the camp kitchen? Use to carry plates, cutlery, napkins etc. So many uses. Melissa and Brenden are passionate caravanners, campers, and travelers. In fact, they have been traveling together for over 20 years. They love nothing more than ‘taking the road less traveled’ and then sharing their travel adventures on their blog. 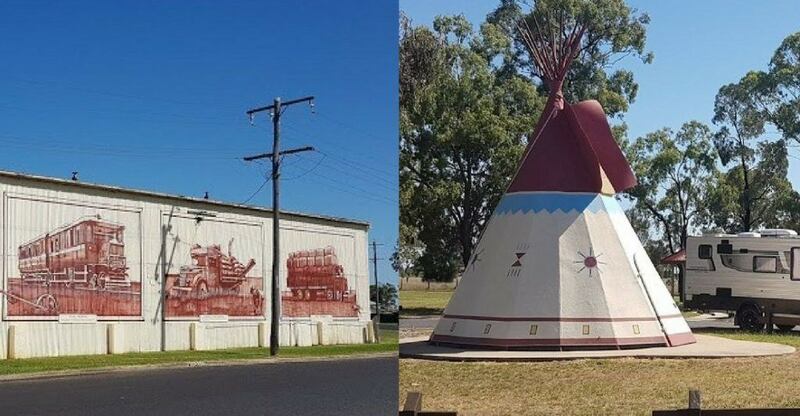 Their aim is to support small businesses that operate in the tourism sector and promote tourism in rural and regional Australia. 7 Tips for a Stress-Free First Camping Trip!